When we generated enough sales to be able to do an eyeglasses distribution, based on our business model of 1 pair of eyeglasses sold, 1 pair of eyeglasses offered. Engineering a viable system that transforms rain water into potable water, and selling it to those who need it. 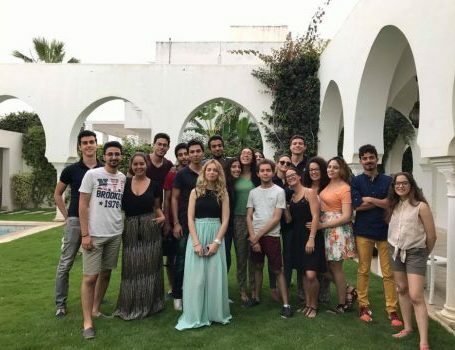 Asma became a member of the team one year ago after learning from others at university about Enactus and its “amazing impact” on the community. “I’m a driven person who works hard to attain my goals,” she says. “The ability to overcome obstacles and follow things through to completion has always been a strong point of mine.” At first, Asma found it challenging to balance her studies, personal life and Enactus work; learning how to manage her time is a lesson that will benefit her through her life, she says. A management major, she plans to graduate in 2019. Enactus in one word: Family. 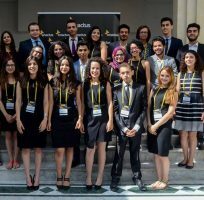 Thanks to its accomplishments, Enactus is a famous club at his university, Riadh says. He’d heard a lot about its members and their work, and he joined one year ago because it appealed to his “sense of duty and [motivation] to improve the life situation of people through social entrepreneurship.” He’s proud that membership in Enactus carries with it the power to make positive change — particularly for the factory owner who now produces the team’s eyeglasses, turning around his business in the process. He plans to graduate this year with an accounting degree.